HAMILTON - New stadium, new name. According to a CFL source requesting anonymity, Tim Hortons has purchased the naming rights for the new stadium being built in Hamilton to stage the soccer event for the 2015 Pan American Games. 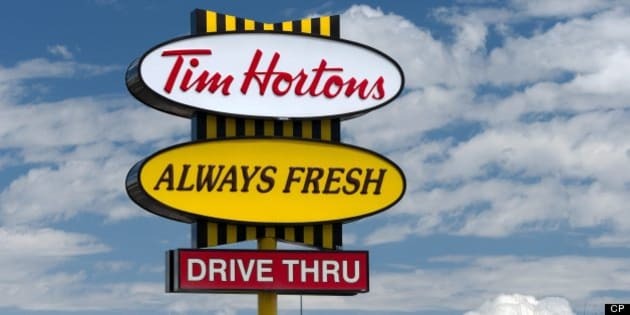 There's no indication how much Tim Hortons paid for the rights or the length of the agreement but both the restaurant chain as well as the CFL's Hamilton Tiger-Cats will unveil details of the deal Friday at a news conference. The Ticats are playing their home games at Alumni Stadium in Guelph, Ont., while the new stadium is being built and is scheduled to move into the new facility in time for the 2014 CFL season. The new stadium, which will reportedly be called Tim Hortons Field, will be home for the soccer competition for the 2015 Pan American Games. The facility will have permanent seating for 22,500 spectators with the ability to be expanded to 40,000 seats for major events. Ivor Wynne Stadium was demolished following the 2012 CFL season after 84 years of existence to make way for the new venue. Tim Hortons is the largest publicly-traded restaurant chain in Canada and one of the biggest in North America in terms of market capitalization. As of March 31, Tim Hortons had 4,288 systemwide restaurants, including 3,453 in Canada and 808 in the U.S.